Innovation projects within corporations can take a long time, a really long time. These projects often involve lots of people and even numerous ownership changes along the way as different specialist groups contribute their skills. Managers are very much aware of this however and have any number of great modern inventions to manage the risks associated with long project leads, knowledge transfer and project ownership. Just think of the highly detailed Gantt charts, the agile management tools, the strategy meeting minutes and risk analysis reports that reside on your corporate servers, all testament to the pinnacle of project management that we have reached in the early 21st century. Because of all these modern tools it is now impossible for a project to deviate off course, to lose its way and end up in a place that was not intended. Modern project management techniques ensure that we always deliver what we started out to deliver and the economy and the world is a better place for this. Wait…what? So, I expect that you agreed with most of the above paragraph until maybe the last few sentences. Most of us have experienced a project deviating from its goal, maybe through a slow erosion of the understanding of the original intention, claim creep over time or a simple loss of way due to personnel change at a key juncture. In our arsenal of modern project management tools is there something missing that might help us eliminate this issue? If not, should we be developing something? I suggest that there is a tool that can be used to help corporations but that it won’t be found in Silicon Valley. The tool is as old as humanity and within us all to develop. It is the art of storytelling. Throughout history humans have managed projects. Our earliest projects may have been something like relocation of tribal groups or the exploitation of newly found food sources. During this time the project management tool most often used was storytelling (Note: This is an assumption the author has made based on the lack of Neolithic cave paintings depicting Gantt charts). Storytelling allowed complex themes with numerous important yet discrete facets to be remembered because it provided context and a relationship between the discrete elements of the theme. If Timmy isn’t stuck down the well, Lassie is just a dog running around barking and doesn’t make sense. 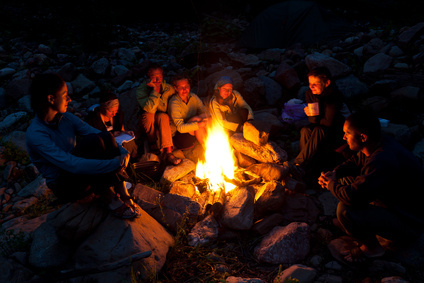 So how can we incorporate storytelling into our project management programs? The solution is to first think about what modern storytelling looks like. In the context of a consumer product, the story might take the form of an advertisement, maybe in video or billboard form. It could take the form of a written consumer concept or a cartoon describing the experience of the consumer. A service story might be told through the written diary of a satisfied client or mock interview. In many cases our companies are quite adept at making these stories; we just tend to make them once a project is nearing completion which renders the use of the story as project management tool redundant. 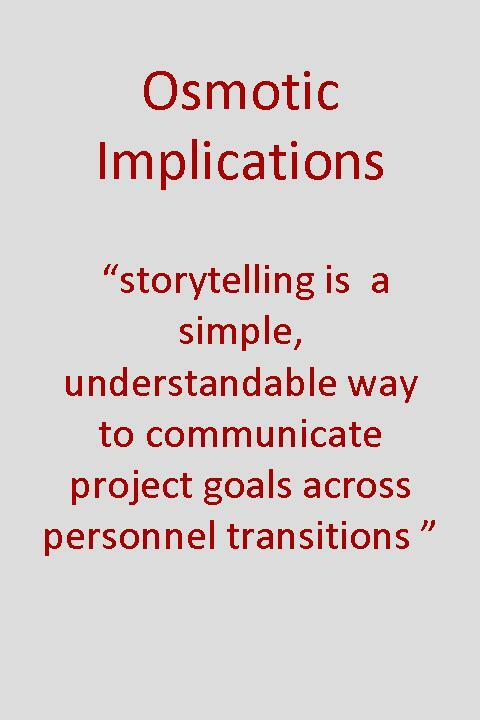 The key thing that any storytelling tool should do is allow for a simple, understandable way to communicate project goals and underpinnings to new team members or management reviewers. It should enthrall and energize the project and ensure that throughout the various personnel transitions each new member champions and rallies around the common and original goal. Next time you kick off a big project consider developing some story media early on in the process, you will be surprised at the effect it can have. This entry was posted in Creativity, Culture and tagged Culture, Innovative Culture, people, product development processes, Storytelling, teams.